From Stan Lee to The Simpsons, Bill Schultz has worked with some of the best in animation. 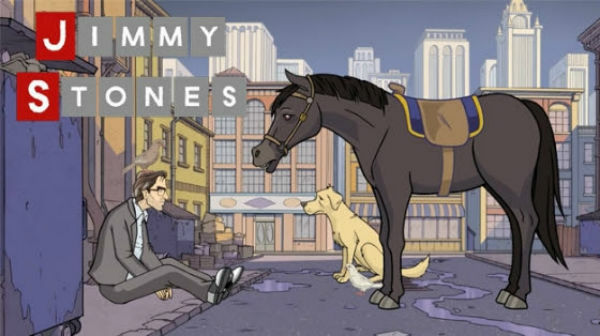 And now he’s collaborating with Dexter creator Jim Manos, Jr. on Jimmy Stones, a crowd-funded animated series about a down-on-his-luck man who talks to animals. Joel Murphy interviews Schultz about the new show, his time on The Simpsons and his work with Stan Lee on making Marvel animated series. And Murphy and Lars Periwinkle discuss their favorite Simpsons episode and the new Simpsons World app. What’s the best Simpsons episode of all time? What does being a producer actually entail? Did Phil make it out of the woods? The answers to these questions and more are in this week’s podcast.